The library will be closed on Monday, September 5th in observance of Labor Day. We will reopen on Tuesday the 6th. The library's Reference Room will be closed for repairs from September 1st through Labor Day, September 5th. We will reopen the Reference Room on September 6th. We will open the Hammond Room, on the Mezzanine level, to those looking for quiet space. We apologize for the inconvenience. Our Kindergarten Kickoff is a special program for all children entering kindergarten. Come by the library on August 31st at either 10:30 or 2:30 to celebrate the start of school with stories and a craft plus a snack (juice and fruit and cookies). Registration is required. Both sessions are the same, so please register for only one. Hey, teens - what are you doing on Monday, August 29th at 7:00 p.m.? 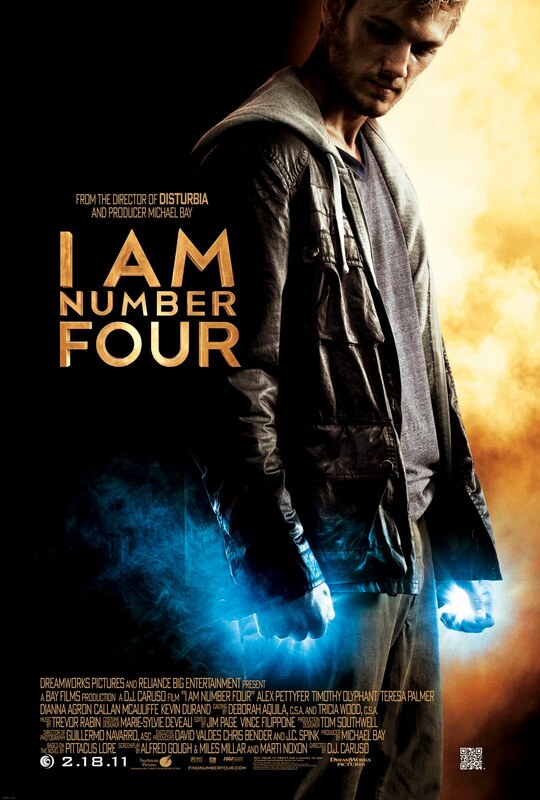 Why not come by the library and attend a special showing of I Am Number Four? We'll provide snacks and space. This program is intended for those in 6th - 12th grades and the movie will run 109 minutes. See you there! It's been a crazy summer, with flooded basements, power outages, downed trees and generally extreme weather. One thing has remained consistent - our Summer Reading Program has been a hit! Time is running out though. 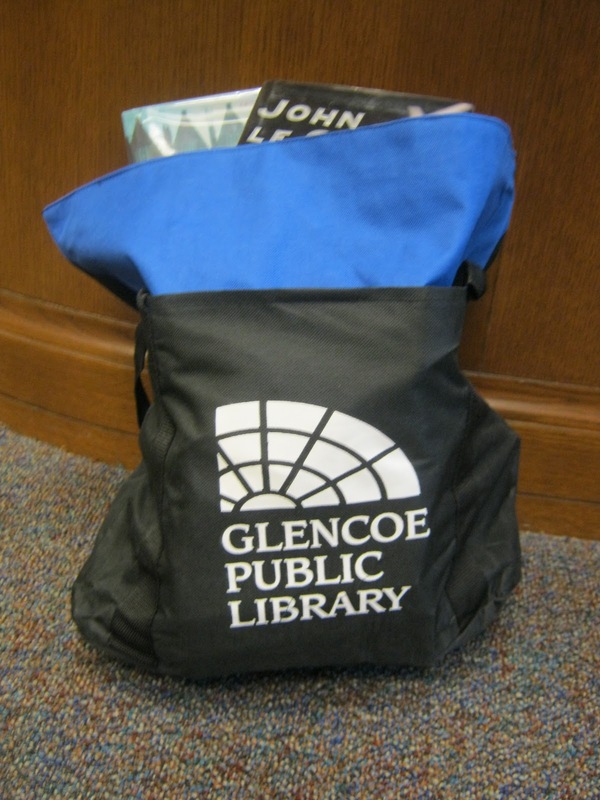 You've only got until September 3rd to finish reading and pick up your final prize: a beautiful book bag! And even though you've finished your six books you shouldn't stop recording books that you read, because each book beyond the initial six will get you an extra free movie rental per book! Thanks to everyone who has participated and don't forget to get your books read! On Saturday, August 13 from 2pm – 3pm we will be hosting our popular annual Pet Parade! Bring your favorite pet - real or imaginary - to Wyman Green and join your neighbors in the fun. Children ages 4 and older with their pet are invited to participate; kids younger than 8 must be with an adult. All pets must have had their shots and be on a leash or in a crate/box. Registration is required. Event cancelled in case of rain or other inclement weather. We will be hosting a special film screening on Monday, August 8th at 7:00 p.m. The Alumni Chapter, a film starring local actor Scott Javore - son of the Glencoe architect of the same name - is an independent feature film best described by its director Matt Helderman as a St. Elmo's Fire for the 21st century . The film, which debuted in February 2011, is a growing-up story about four college graduates coming to terms with a strapped economy and unraveling friendships. The film's running time is 72 minutes and is not rated. It will be playing at the Women's Library Club, 325 Tudor Ct.